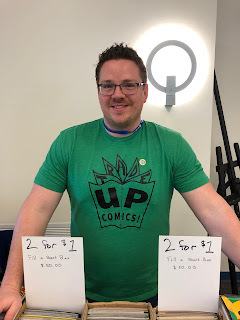 The Newest Rant: Wildcon 2019 Was Wonderful! the banner was being painted in the morning and people could watch. 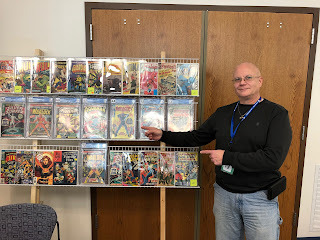 Yesterday I was excited to attend Wildcon 2019 (having enjoyed the show the first time I attended last year). It was as stellar as I expected, with plenty of fun for all ages between the fantastic guests, comic-vendors, and other cool entertainment. Held by Saint Louis Community College at Wildwood, the students of the college are in charge of many aspects of the show and work hard to make it a great time! I started the show saying hello to some awesome creator-guests, including the immensely talented Christina, "Steenz," Stewart who is an editor for Lion Forge in addition to having her work published with an assortment of companies. 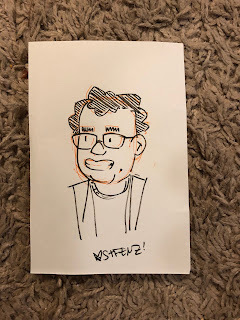 Lorenzo Lizana was present and hard at work making awesome sketches as he often does at shows, and I saw my friend David Gorden too, eager to discuss his cool book, "Kwame Hightower: And the Man with No Name," with attendees. I snapped a hallway picture before it got too busy! There were numerous attractions for kids (and grown-ups) to enjoy, between the Performing Arts Club helping kids make their own capes, the Science Club with cool experiments on display including a fascinating experiment involving water, dry ice, and soap (here is an article explaining it), plus the robotics association had their fascinating robots, with many which con-goers could test-out and drive (if they were ones with wheels). 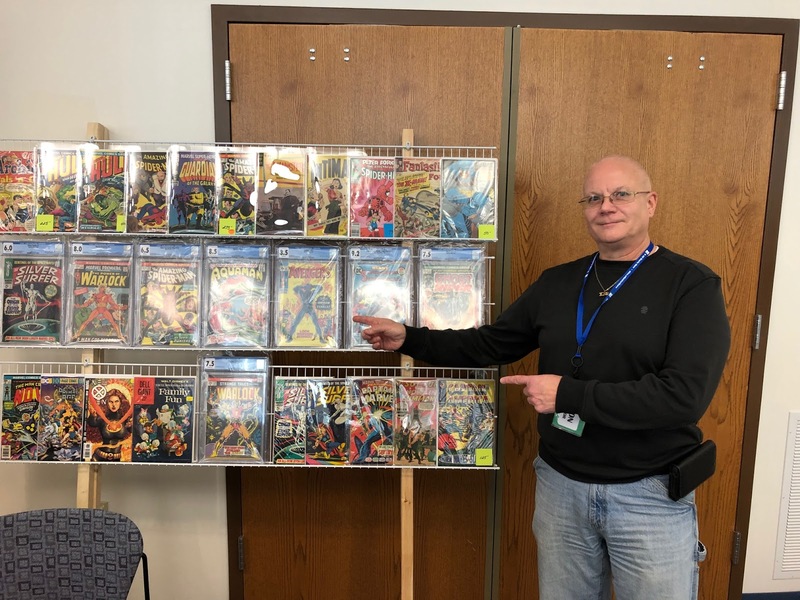 There were vendors such as my friend Spike who you can buy all kinds of great comics from at his web-store, Lost in Space Toys and Collectibles. 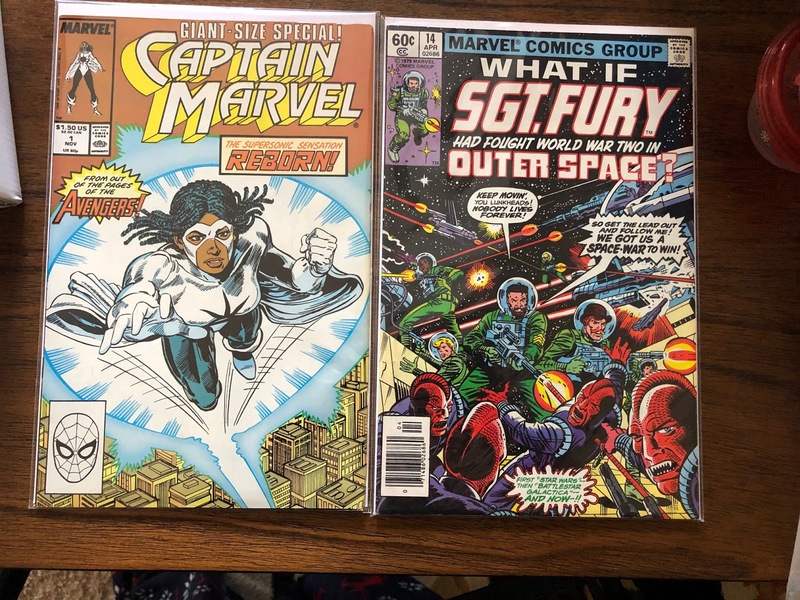 He had a big chunk of comics for sale and always has a lovely assortment of inexpensive books plus awesome rarer-reads (some CGC'd too). After chatting with Spike there was an adorable cosplay contest for little kids (young adults and adults had their contest later in the day). It was sweet that all the kids basically, "Won," in their category as some were super-heroes, Jedis, etc. Jack from Trade Up Comics was present and I got some cool dollar books from him. He always has a great deal of comics to dig-through and is fun to chat with. 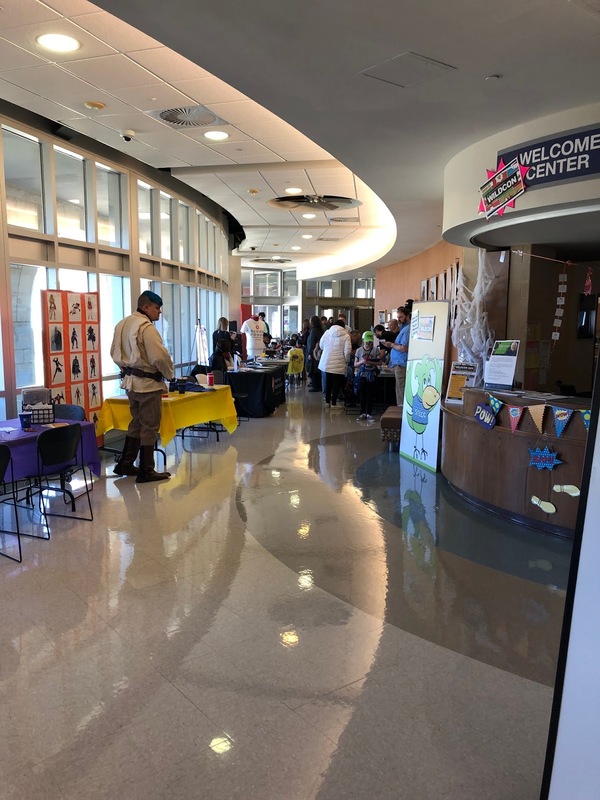 I also enjoyed visiting the stands/booths of business partners who were present at the show, including Code Ninjas (which teaches kids about coding), Mississippi Valley Regional Blood Center, Farmer's Insurance, Premier Martial Arts, and I would be remiss if I did not mention the fun photo-booth as well. 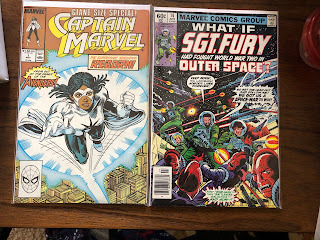 Two notable comics I picked-up were the first solo issue dedicated to Monica Rambeau (who has held the title of Captain Marvel as well as Spectrum) and a classic, "What-If?" featuring Nick Fury fighting space aliens during WWII. There were multiple fun panels as well and a lot of families and kids were present. 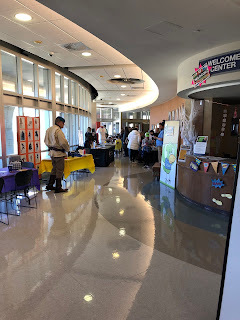 Sometimes con's don't have a lot of stuff for kids so it was great to see such a great deal of activities and attractions kids could enjoy. Samii and Clarkson were originally going to come to the show this year but as his sleep schedule has been out of whack he needed to nap during the time I attended. I hope to have them all come next year though so he can enjoy all the fun! 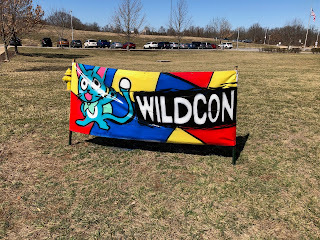 Wildcon 2019 was an incredibly fun time and I am so happy to have gone again. 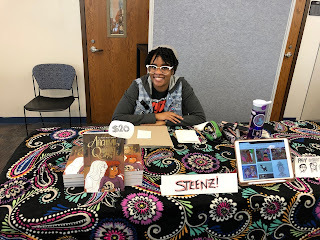 I had fun talking with guests, visiting booths, and buying comics from vendors. 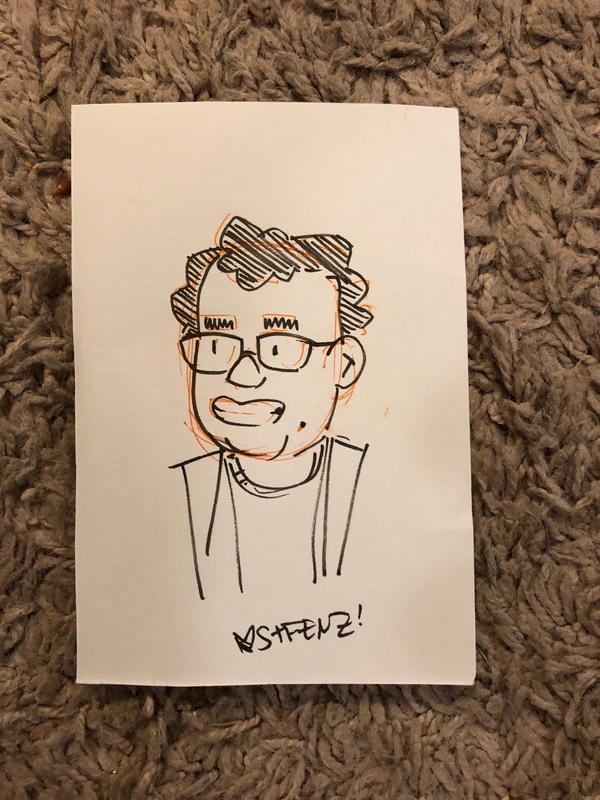 Lastly, I wanted to share the awesome portrait Steenz did of me. I think it looks pretty snazzy, if I may say so without sounding vain! 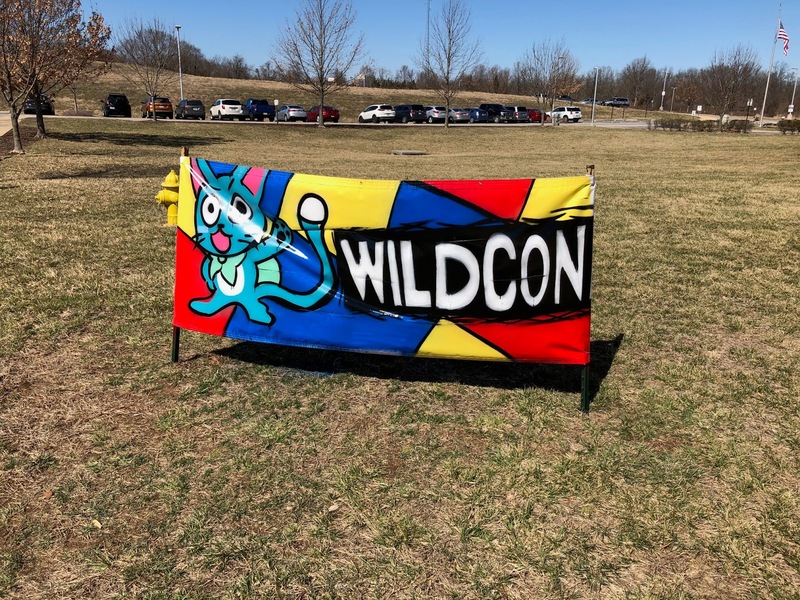 Yes, Wildcon 2019 was awesome and I can't wait for next year and Wildcon 2020!